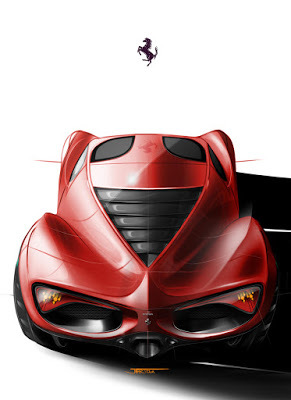 Joonas Vartola, graduated in 08′ from RCA, is a professional young designer from Finland currently working in Germany. 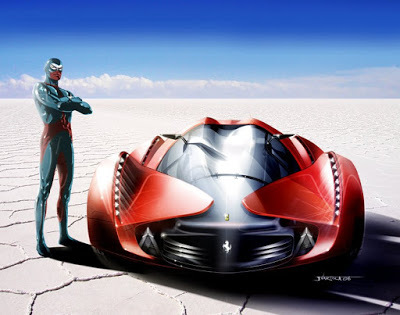 Joonas, during his start as designer, spent sometime at Pininfarina designstudio in turin Italy and here his proposal for a next generation Enzo Ferrari design. What I like the most of Joonas style is his creativity. He is very good at techniques, drawing,illustration, but he has a real different creativity compared to others and this is his strong point. Some of you might think that there is a lot of stuff in his design (partially true), however Joonas is reach and good inspiration for a design studio. Do not miss his personal website full of portfolios works very well done, to see it click Joonas.